Feature length animated film "Your Name (Kimi no na wa.)" opened in theaters in 2016. It was wildly popular and became a social phenomenon. 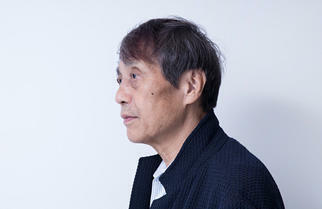 Mr. Shinkai's films are famous for their overwhelmingly beautiful images with many scenes from Tokyo, including Roppongi. How does he choose the places of action then make them into the images in his animated films? We asked him about the ties between the story and the city. I can come to Roppongi only after I finished working on a film. To me Roppongi is a shiny place that I can only come for the first preview or the on-stage greeting after I completed a film. Since I started working with Toho, I often come to TOHO Cinemas Roppoigi Hills for the first stage greetings. I find the places I pass by before reaching the theater are so luxurious. It takes about 2 years to complete a film, so Roppoingi feels like a very special place to me. One of the first urban style cinema complexes, opened in Roppongi Hills Keyakizaka Complex in 2003. Renovated in 2015. Has 9 screens including an extra large screen "TCX", with "Dolby ATMOS" and "Vive Audio". Holding Tokyo International Film Festival since 2004. In "Your Name", the hero Taki goes on a date with Ms. Okudera-senpai, an older co-worker, in Roppongi. I chose Roppongi to show that Taki, a high school student, was trying to look more grown-up than he really was not very successfully. He got overwhelmed by the sparkling things he saw and touched and felt small in shiny Roppongi. Director Makoto Shinkai's 6th feature length animated film. A month before a comet's visit in a thousand years, Taki, a high school boy in Tokyo and Mitsuha, a high school girl in a countryside, repeatedly see strange dreams in which he becomes a girl and she becomes a boy. They then realize that they are exchanging bodies. Shinkai overwhelmingly expanded his pet theme, the gap between boys and girls. On the other hand, the one who chose Roppongi to date with Ms. Okudera was Mitsuha in Taki's body, and it somewhat meant a sightseeing for her. Mitsuha, a country girl, wanted to go to Roppongi. Okudera-senpai and Taki had lunch at a café in the National Art Center, Tokyo, but I too would have been nervous if I went there with someone on a date. How should I order, do I have enough money... if I were in high school, even worse. Real scenery is more convincing on screen. 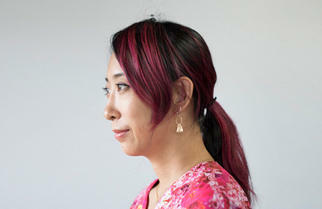 I often make stories of contemporary Japan because I like the style. Then I also want to use the real location consequently. One of the reasons is if you use a real location, it will offer a setting for the film. When you make a fantasy, it would not be convincing without making up the details such as how old the streets are, how heavy the traffic is or how many stores there are. To make the characters real, you need histories for the background too. In that regard, real sceneries will look convincing on screen because the real sceneries naturally have histories. A café on the second floor of the National Art Center, Tokyo, where Taki and Ms. Okudera had a date in "Your Name". It locates on a huge upside-down cone and you can look down on the inside of the museum from there as if you were floating. You can even guess the seats they sat in the film and many fans made 'pilgrimage' there. Mr. Shinkai had a few interviews there after the film opened. I found again with "Your Name" that unexpectedly many people get happy when they see real places in a film, exclaiming 'I have been there!' or 'I have seen that!' That makes me happy too, so I think I can put more of such things in my film. I make contemporary stories because I want to make stories of the people who are living now. That is why I use Tokyo as the setting for my film. Tokyo is the closest city to me. At the same time, I feel my stories could be anywhere. A story could happen to anyone, anywhere. If I put a scene in Tokyo in my film the place might become a special place to the audience. But it happens in life every day. If you walk on a path with your loved one, the path becomes a special place. It is not that a story is born from a special place, but a place where you had a special experience becomes a special place. Observing pieces of lives while walking in the city. I am rather attracted to the details, or pieces of lives, while I am walking in Tokyo than looking for the settings for a story. For example, I see surprisingly many umbrellas left on a city bus or a bus stop designed beautifully but with a traffic warning sign leaning against it, the intended effect becomes slightly different. I enjoy finding sceneries changing little by little by people's everyday doings and these elements are important when I create anime. To make audience feel that the city they see on screen is a place where people live, it shouldn't look like model houses. It better has forgotten umbrellas and be littered with empty cans, sometimes. That is why my eyes are drawn to these things while I am walking in the city. The reason that Shinjuku area often appears on my films is simply because I have been living in this area for a long time, mostly. When I came to Tokyo in 1992, Shinjuku had a little brighter atmosphere, partly because Tokyo Government building had just moved in. Roppongi at that time had an image of a night town; a town for grownups. It has changed a lot since Roppongi Hills was built, but the time Roppongi has been blooming coincided with the time I started creating animated films and making "Voices of a Distant Star (Hoshi no Koe)". So, I was trying hard to express what was inside of me instead of going out and looking outside. A 25 minutes full digital animation film, directed, scripted, drawn and edited mostly by Mr. Shinkai alone. Mr. Shinkai's commercial debut film. A science fiction love story between a girl who travels to space as a member of the International Space Army and a high school boy in Japan. It opened in a mini-theater 'Shimokitazawa Tollywood' in February 2002. Buildings in Roppongi are interesting, like Tokyo Midtown or Roppongi Hills. They look good on screen because they are good designs. Because of the strength of these sceneries, a film will look better, real and beautiful if it has Roppongi in it. I guess it also carries the image of Tokyo people have. The audience will know that it is contemporary Tokyo when they see Roppongi Hills and Tokyo Tower in the frame. But it is a lot of work if you use Tokyo for animation. There is so much information in the streets and the buildings. You cannot avoid complex things anywhere in Tokyo. If it were a small town by the sea or in the mountains, you can make the picture simpler, but not for Tokyo. Take a building, for example. You cannot just draw a square box, but you need all the windows. If you are a child, you can just paint them blue, but in reality, no window looks like that. You will see the office lights through them. It won't look real without those details, and they require time and work. At the same time, the same scenery of Tokyo may look nothing special in a real-action film or a photo, but sometimes you find the beauty of it when it becomes a drawing. I think that is the fundamental power of the drawing and one of the merits of the animation film. When we draw a scenery, we do not trace a photo as it is, but we omit some details and add others. When we see the scenery in Roppongi, we do not see all the details, still we can tell it is Roppongi by its look. One cut in an animation film appears for only about 4 seconds in average, and if there are too many details as in a photo, they will distract the audience from the story. So, we omit many details in a way the audience would not realize, and make rooms for the audience to be able to take in the scenery and the story at the same time. Perhaps that is what we do naturally when we see real sceneries and we are trying to reconstruct the image of the real city we see in the animation film. 12 hours of drawing for a 40 second storyboard segment. Right now, I am totally preoccupied with my new work and cannot think of anything else. It took me about 6 months to write the script and now I am drawing storyboard, so it is still just the entrance of the production. I guess you can say this for any work, but it is important that you use time only for the work you are doing now. I draw basically all the drawings by hand and I will know about how many drawings I will need to make when the script is finished. Then, we see the length of the film. Then we know how many storyboards I need to make per day. It is important to do the work day by day. So, I am drawing them every day now from the time I wake up till I go to bed. Storyboards for animation films are like blueprints and we draw much more detailed ones than for live-action films. They mostly dictate the film. It takes me about 8 to 10 months to finish the storyboards. I wonder to myself if I am taking too much time. But after I draw for a day, say 12 hours, I hope I have done a lot and check the amount--and I realize it is for about 40 seconds of screen time. In that rate, I need to keep drawing for 160 days to complete for a whole film. I have to work hard to make 40 seconds every day. The storyboard, or the "blueprint of the projected image" is drawn by Mr. Shinkai himself. The detailed storyboards and drawings are some of the highlights of the exhibition. The books of storyboards of "5 Centimeters Per Second" and "Your Name" are on sale too. However, having no input is not good. So, I sometimes read comics or go to movies during that period. It is like turning a screw. I feel I need to turn the screw once in several days. I want my film to be as good as the Hollywood live-action film. I have been making animated films for about 15 years. Then "Your Name" suddenly became widely popular, but it was not particularly my goal. Still I had a simple desire for people who do not know me or my work to see my films. I wanted and felt that now I was able to make a film that even people who were not anime fans or did not know Shinkai would find interesting. I will make my next film using what we got with "Your Name" as a base. Until now we had to start for people to know about us, but now people will come to see our film knowing who we are. Of course, we want people to enjoy our films, but we would also like to put something more difficult than "Your Name", or something more complex or debatable, something people might say 'is it really so?' "Your Name" has expanded the entrance. I feel I can make next film for people to come into the wide entrance, climb up long stairs and go out of a high place. When I learned that "Your Name" would be adopted into a live-action film in Hollywood, I was surprised but amused to see that other people were more surprised than I was. I am excited and looking forward to the people in Hollywood, with their talent and power, dealing freely with my film. But I want my film to be as good as theirs too. Of course, I cannot do anything now for "Your Name", which is completed already. Making films is not a competition either, but I also have a feeling that our film must be more interesting. I do not regard a Hollywood remake of "Your Name" an easy winner. Then why did Hollywood pick it up? There must be a reason, and I would like to know why. U.S. based Paramount Pictures and J. J. Abrams' production company, Bad Robot, which made the "Star Wars" films, gained the right to make "Your Name" into a live-action film. Abrams and Bad Robot's Lindsey Weber will be the producers. Eric Heisserer, who was nominated for the 89th Academy Award for Best Adapted Screenplay for Arrival, will write the screenplay. When I was creating "Your Name", Roppongi was a distant place to me. I only went there once or twice a year. The only memories I had with Roppongi were movie theaters. But after "Your Name" opened, there was a collaboration event with the film and the "Touchscreen Theater with Stars" at Tokyo City View and "Exhibition of Shinkai Makoto" at the National Art Center, Tokyo. I feel now I am a little closer and accepted gently by Roppongi because now I have some memories since I put Roppongi in my film. Another place Taki and Okudera-senpai visited on a date in "Your Name", as the National Art Center, Tokyo. Since the observatory was in the film, they had an event called "HUAWEI presents Starry Sky Illumination", in which Segments of Mr. Shinkai's films including "Your Name" were shown on the huge windows looking down the Tokyo night lights by projection mapping in November 2016 through January 2017. There was a talk event with Mr. Shinkai and Mr. Tom Kawada of AR 3 Brothers during the "Illumination" event. I am really grateful and sense a strange fate that I am having an exhibition at the National Art Center, Tokyo, which was used in the film. For the audience to enjoy the film itself is good enough, but they may have some different points of view or get different messages when they learn about the backstage of animation film production that they usually do not see. They may compare it with their own jobs, or they may notice something about their lives even though it has nothing to do with the film. Exhibition of Shinkai Makoto from "Voices of a Distant Star" to "Your Name"
An exhibition held at the National Art Center, Tokyo from 11th November to 18th December 2017 as the 15 year anniversary of Mr. Shinkai's debut. It was the first exhibition with the name of an animation film director in the title at a national museum. 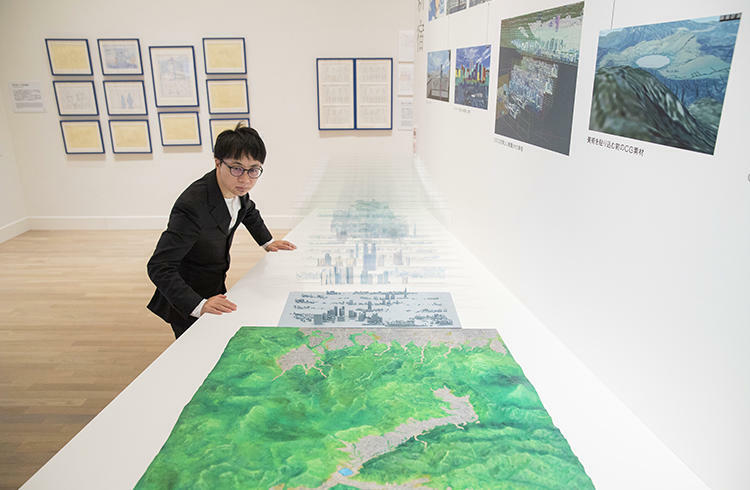 There were rare materials such as storyboards, drawing and background materials, and Tokyo-only exhibits such as 'Understanding Shinkai's World by Keywords' and 'Makoto Shinkai and His Age'. I feel very proud because there would not be any better place for it. I wonder if now is the peak of my life. This is not because of the exhibition, but I cannot help wondering when the peak of my life is for the quality of my work. The work, just like life, does not necessarily get better as you gain more experience. There must be a peak somewhere, so, I wonder where it is for me. This exhibition means that much to me, to make me think that way. Tokyo is like an unrequited love. I make animated films that take place in Tokyo only because I started it seriously when I moved to Tokyo. Of course, there are many practical merits for doing it in Tokyo. Still, I always think it is not the most important thing. However, life may be the compilation of coincidences. I came to like Tokyo and started using it in my films probably because I live here, and you come to love a place because you live there. I do not think I live here because this is the best or an ideal place, but I somewhat feel that I am trapped by Tokyo. Just like a woman who would not love me back. Objectively, I suspect there are more troubles living in Tokyo, but Tokyo is too attractive for the residents to control their emotions. I love Tokyo more and more as I use Tokyo in my film more and more. Just like I feel a little distant from Roppongi, I feel a little distant from Tokyo too, even though I live here. Just like how I feel about RADWIMPS. I have worked with them and feel closer, still I feel that they are distant, unreachable stars. Roppongi is the same. I am a little closer now, still it is always a distant existence. A rock band since 2001, major-debuted in 2005. Many of their fans admire their free-from-genres crossover musicality with rock, jazz, hip-hop and ethnic music, and philosophical yet romantic lyrics. They created soundtrack for "Your Name. ", including the theme song 'Zenzenzense (Many Previous Existences)'. Soundtrack album "Your Name" is on sale too. If I can sometimes touch a place I once thought unreachable, I feel that it is a good day, it would be nice. I will be happy if Roppongi stays a symbolic town of shining things. 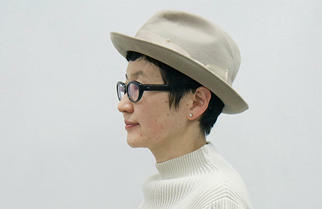 Born in 1973 in Nagano Prefecture, Japan. Debuted in 2002 with a personally produced short film "Voices of a Distant Star", which won many awards including 'Excellence Award in Open Competition Dept.' in New Century Tokyo International Amime Fair 21. 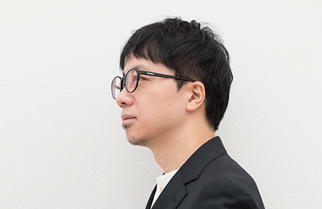 His first feature-length film, "The Place Promised in Our Early Days", won 'Animation Film Award' in Mainichi Film Awards in 2004. '5 Centimeters Per Second', opened in 2007, won 'Best Animated Film' award in Asia-Pacific Film Festival and 'Platinum Grand Prize' in Future Film Festival in Italy. He expanded his film world in his 2011 film 'Children Who Chase Lost Voices', which won 'Golden Monkey King Award' in China International Cartoon Animation Festival. 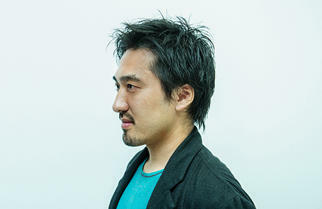 His 2013 film, 'The Garden of Words', won Grand Prix in feature-length animation dept. in the Stuttgart International Festival of Animated Film. "Your Name", opened in 2016, became a huge hit, becoming the second-highest grossing Japanese film. 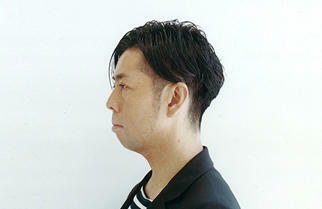 He is acclaimed and admired both in Japan and internationally as a next-generation director.